NEVER Pay Money For “Remedies”! In today's day in age, there are just as many psychic scams as there are legitimate psychics and mediums. Even though there are scams, true psychics and mediums do exist. There are several common scams that go on but if you are careful, you can avoid the scams and speak with a true psychic. There are a few tips and red flags to keep in mind when looking for a psychic reading to help you avoid being scammed. If you are looking for a psychic for the first time, one of the biggest scams to avoid is the single psychic working alone. When psychics work together in a psychic network, there is a sense of legitimacy due to the fact that if enough clients complain the psychic will more than likely be fired. Think about it…When a psychic is working for no network and working alone, there is no quality control at all. This can lead you to a psychic who is a complete scam but just keeps on scamming by changing the clientele base up regularly. One of the oldest psychic scams of all is when the psychic reads you and tells you that you are surrounded by bad energy and need their help. You will be told they can help you, but after many dollars later, you are still in the same position you were and they did not help in the least. It is easy to associate a bad event in your life with this so called “bad energy”, however, the bad energy scam is one of the oldest in psychic history books. Many psychic scammers will work hard to gain a client's trust and then use it against them by claiming you have been cursed. After claiming a curse has been put on you, many times the psychic will ask for a large amount of money to reverse the curse and heal you. Any time a psychic brings up a curse that might have been put on you, it is important to highly consider you are likely dealing with a psychic scammer. Paying money for remedies is a scam that scamming psychics make a lot of quick money on. If you are speaking with a true psychic, you have paid your money for the reading, and the remedy will come with the reading. Never pay extra money for a quick fix for your life by the psychic. Another way many psychic scammers get money is by saying a list of general statements to a client and when one hits a nerve the right way emphasizing on that statement. Scammers also sometimes send out mass emails with generalized statements that will eventually relate to someone on the mailing list and wait for a reply. Many psychic scammers also play the money card against unsuspecting individuals. The psychic will tell the individual they are going to come into a large sum of money, such as a large inheritance check or winning the lottery, as long a spell is used. 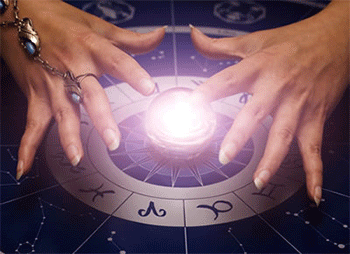 The psychic will then ask for money to play the spell on you so that you will receive money in the near future. Legitimate psychics will not make incredible claims that can not be proven. If the claims sound crazy, and have no back up proof, the odds are you are looking at a scamming psychic. Common claims that run as scams are specialization in reuniting individuals and being a 4th or 5th generation psychic of the family. In today's society you can not be careful enough when avoiding scams. Psychic scams exist and take unsuspecting individuals for a loop each and every day. Before choosing a psychic for the first time make sure you do proper research to avoid needless scams. Although these are not all of the scams currently happening, they are a few to consider when searching for a psychic to give you a reading.